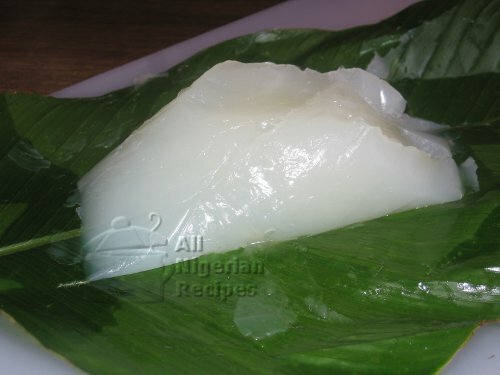 Nigerian Agidi or Eko is Nigeria's Jello sort of. It is made with corn flour. The process is very similar to how to make Ogi but with a slight difference. Agidi or Eko tastes so good with hot Akara or Pepper Soup. Watch me eat it with Pepper Soup here. Are you looking for the recipe for making Agidi Jollof with corn starch? Visit the How to make Agidi Jollof with corn starch page. If you are in Nigeria or in certain countries outside Nigeria, you should be able to buy corn and make Agidi from scratch, click here for how to do that. If you can’t buy corn where you live and you are outside Nigeria, ensure that the corn flour you buy is very fine. In Europe I can buy the corn flour known as Maizena which is great for this. Mix the corn starch/flour with the 700 mls of cold water in a pot. Please add water bit by bit because that's the best way to get a good mixture without lumps. If you are using Akamu or Ogi, add water till you get the consistency shown in the video below. Place the pot on the stove and set the heating to medium low. Stir continuously with a wooden spatula. You don't have to stir in one direction. Just make sure you are constantly stirring the mixture. After some time, you will notice the corn starch mixture begin to thicken. Continue stirring because if you stop, lumps will form and you do not want that. If you are stirring continously and lumps are still forming, it means the heat is too much so reduce the heat. When it has completely thickened like Custard, pour some water to the sides of the Agidi, cover the pot and leave to simmer for about 10 minutes on medium heat. Stir well to mix the Agidi with the water. To check that the Agidi is done, put a small quantity into some cold water. If it sets after cooling down then the Agidi is done. Transfer to containers and leave to cool down completely at room temperature. 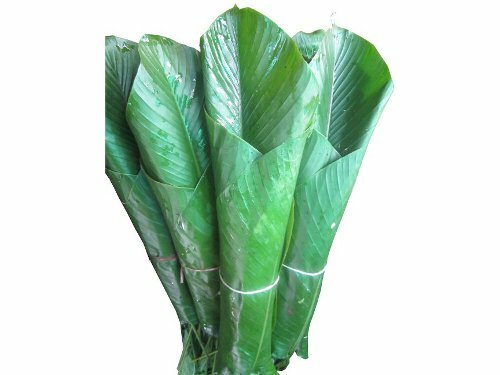 You should wrap them with Uma leaves to get the classic Agidi shape. Watch me wrap mine in the video below. lol! Serve with hot Akara or piping hot Nigerian Pepper Soup. They are great partners to Agidi.